All Stalinists are adherents of the very revisionist theory that socialism is possible in a single country and world revolution is impossible. World revolution, global, international socialism was the guiding principle of the April These of Lenin and the Permanent Revolution theory of Trotsky as developed by him after the disaster of the slaughter of the Shanghai Soviet in 1927 by Chiang Kai-Shek, an honourary member of the Comintern Exec on Stalin’s motion at the time. Mao’s main claim to Marxism orthodoxy was that he had superseded Lenin’s theory of revolution and substituted peasant armies for the working class, thereby making a bourgeois revolution the goal and retaining relations with western imperialism. That’s the meaning of the Bloc of Four Classes, the invidious distinction between the nationalist bourgeoisie and the comprador bourgeoisie and the barbaric Three Worlds theory. This theory, rejected now by most progressive Maoist groups, said the USSR was as bad an imperialist power as the USA, in practice the worst of the “great powers” and therefore It was ok to bloc with the USA against it. So he supports Pinochet in Chile and Mobutu in the Congo and Vorster in South Africa and feted Kissinger and Nixon whilst they were carpet bombing Vietnam with Agent Orange and Napalm in 1972. Of course in China Mao pragmatically rejected Stalin’s instructions to capitulate to Chang Kai Shek, he didn’t fancy a repeat of the Shanghai massacre, a scenario Stalin was ok with. One only has to look at how he allowed Hitler to level Warsaw to the ground from August 1944 and the fate of revolutions in Czechoslovakia and northern Italy and Greece where he cynically manoeuvred with Churchill and Roosevelt. And why no call on the German working class to overthrow Hitler as liberation was at hand? Instead the “Red Army” raped some 2 million German women because they were all Nazis anyway. It is true some Maoists seek revolutions in western imperialist nations but these “revolutions” are not insurrection by organised working class via workers councils, the Soviets of the Russian Revolution, but some confused version of surrounding the cities from the countryside and urban guerrilla warfare following the Black Panthers. And whilst there was all that backstabbing between Stalin and Tito and Mao and Hoxa, the latter maybe the most consistant third worldist Stalinist, it is clear that socialism is impossible in a single country and only the organised working class can overthrow capitalism in imperialist countries. That being said the degeneration of the Trotskyist groups on the question of their attitude to imperialist wars, direct or by proxy, is shockingly reactionary leaving many Stalinist and Maoist groups pitching to their left. 1982 was a pivotal year, the Militant of Ted Grant supported the British Expeditionary fleet against Argentina, saying a Labour government should have continued the war along socialist lines so as not to let Galteiri get away with it. Here too the forerunners of the AWL led by Sean Matgamna adopted the same pro imperialism with the forerunners of the British USFI taking a neutral and therefore unprincipled position. Robertson of the Sparts was equally as bad. How few were the Trotskyists who called for the defeat of that fleet and the victory of Argentina, unconditional but critical support for war against global imperialism? And today the shame of seeing the banner of revolutionary Trotskyism trailed in mud in Libya in 2011 in Syria, in Iraq, in Afghanistan and Ukraine by right centrist Trotskyists like the USFI and CWI and IMT and LIT. And some former left Trotskyists are worse, Workers Power and the RCIT promote jihadists funded by the CIA and Saudi Arabia and Qatar and Turkey in Syria against Assad as leading a “revolution” FFS. Of course many Stalinists still give uncritical support to all bourgeois nationalist opponents of imperialism, Stalin’s 1927 mistake which led to the Shanghai massacre but the Stalin of 1927 was still preferable to the Popular Front Stalin of 1935. Bad as the Third Period lunatic ultra leftism was between 1928 and 1935 it was preferable to the outright political class collaboration of the Popular Front which destroyed revolutions in France and Spain in the late 1930s and the immediate post war period. So Third Periodism led to the victory of Hitler but most of those German Stalinists ranks and some leaders were sincere revolutionaries, unlike the cynical popular frontists that followed them and killed many of them. Stalin handed the German and Austrian communist refugees over to Hilter at Brest Litovst in 1939, Togliatti slaughtering the leftist revolutionary Bordegiaists in Italy in 1945 and the Greek CP did the same in Athens in the Civil War. They were of course accused of being Trotskyists but although the Stalinists killed many Trotskyists most of the victims in those days were left Stalinists who wanted to make revolution. And that political tradition lives on. Please address it politically and not personally. And many Stalinist and Maoists are critical of Assad and the Donbas leadership and increasingly of Putin, who is playing such a treacherous role in Afrin right now. But the Assad YPG alliance there is a great progressive thing. So comrades, please less personal attacks and bad language, a bit of respect for political opponents of Stalinist and Maoist persuasion and other self proclaimed Trotskyists whilst we fight out these very important differences. Chaing Kai-Shek with the traditional glorious-leader background, later adopted by Mao. Source: The Militant, Vol. V No. 38 (Whole No. 134), 17 September 1932, p. 2. To the Eastern Secretariat of the E.C.C.I. Returned from leave of absence, I found the photograph of Chiang Kai-Shek sent me through the Eastern Department of the E.C.C.I. and the request promptly to send him my autographed picture. Had I received such a request through the Foreign Office then, regardless of my attitude toward this request, I would find the fact itself explainable. But it is absolutely incomprehensible to me why the Eastern Department of the E.C.C.I. 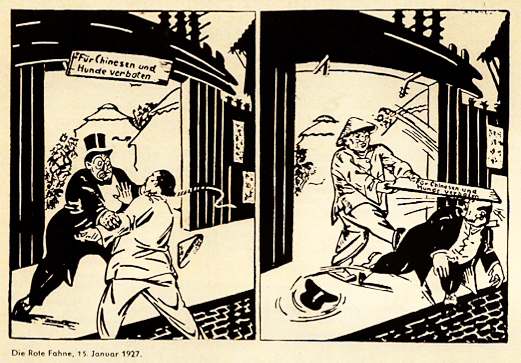 – the international organization of the Communist vanguard of the proletariat – occupies itself with such a thoroughly compromising matter as the spreading of portraits of Chiang Kai-Shek, on top of that – as a result of a malicious irony of fate – on the eve of the coup d’état carried out by him I do not doubt that this job, unseemly for the E.C.C.I., was done by some employee of the Eastern Department not empowered to do it, without the knowledge of the leading persons and especially of the Presidium of the E.C.C.I., as a consequence of which I deem it necessary to bring this distasteful affair to your attention. 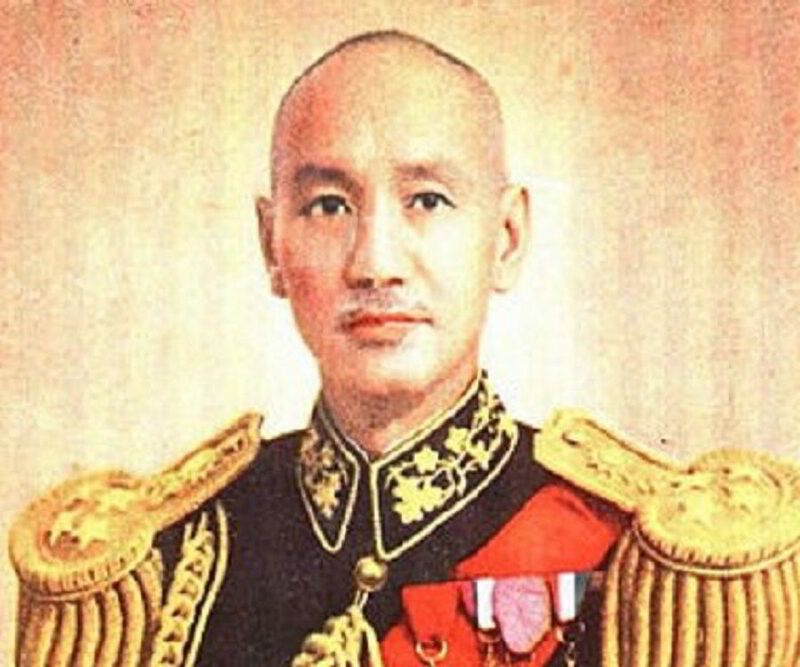 The picture of Chiang Kai-Shek I am herewith returning.